Arranja, A., Schroder, A. P., Schmutz, M., Waton, G., Schosseler, F., & Mendes, E. (2014). Cytotoxicity and internalization of Pluronic micelles stabilized by core cross-linking. Journal of Controlled Release, 196, 87–95. Abstract: A UV-cross-linkable agent was incorporated and polymerized in Pluronic micelle core to create an interpenetrating polymer network (IPN) of poly(pentaerythritol tetraacrylate). This stabilization prevented micelle disruption below the critical micelle temperature (CMT) and concentration (CMC), while maintaining the integrity of the PEO corona and the hydrophobic properties of the PPO core. The prepared stabilized spherical micelles of Pluronic P94 and F127 presented hydrodynamic diameters ranging from 40 to 50 nm. The stability of cross-linked Pluronic micelles at 37 degrees C in the presence of serum proteins was studied and no aggregation of the micelles was observed, revealing the colloidal stability of the system. Cytotoxicity experiments in NIH/3T3 mouse fibroblasts revealed that the presence of the cross-linking agent did not induce any further toxicity in comparison to the respective pure polymer solutions. Furthermore, stabilized micelles of Pluronic P94 were shown to be less toxic than the polymer itself. A hydrophobic fluorescent probe (Nile red) was absorbed in the cross-linked core of pre-stabilized micelles to mimic the incorporation of a poorly water-soluble drug, and the internalization and intracellular localization of Nile red was studied by confocal microscopy at different incubation times. Overall, the results indicate that Pluronic micelles stabilized by core cross-linking are capable of delivering hydrophobic components physically entrapped in the micelles, thus making them a potential candidate as a delivery platform for imaging or therapy of cancer. (C) 2014 Elsevier B.V. All rights reserved. Fallah-Araghi, A., Meguellati, K., Baret, J. - C., El Harrak, A., Mangeat, T., Karplus, M., et al. (2014). Enhanced Chemical Synthesis at Soft Interfaces: A Universal Reaction-Adsorption Mechanism in Microcompartments. Physical Review Letters, 112(2). Abstract: A bimolecular synthetic reaction (imine synthesis) was performed compartmentalized in micrometer-diameter emulsion droplets. The apparent equilibrium constant (K-eq) and apparent forward rate constant (k(1)) were both inversely proportional to the droplet radius. The results are explained by a noncatalytic reaction-adsorption model in which reactants adsorb to the droplet interface with relatively low binding energies of a few k(B)T, react and diffuse back to the bulk. Reaction thermodynamics is therefore modified by compartmentalization at the mesoscale-without confinement on the molecular scale-leading to a universal mechanism for improving unfavorable reactions. Greenall, M. J., & Marques, C. M. (2014). Can adding oil control domain formation in binary amphiphile bilayers? Soft Matter, 10(40), 7925–7931. Abstract: Bilayers formed of two species of amphiphile of different chain lengths may segregate into thinner and thicker domains composed predominantly of the respective species. Using a coarse-grained mean-field model, we investigate how mixing oil with the amphiphiles affects the structure and thickness of the bilayer at and on either side of the boundary between two neighbouring domains. In particular, we find that oil molecules whose chain length is close to that of the shorter amphiphiles segregate to the thicker domain. This smooths the surface of the hydrophobic bilayer core on this side of the boundary, reducing its area and curvature and their associated free-energy penalties. The smoothing effect is weaker for oil molecules that are shorter or longer than this optimum value: short molecules spread evenly through the bilayer, while long molecules swell the thicker domain, increasing the surface area and curvature of the bilayer core in the interfacial region. Our results show that adding an appropriate oil could make the formation of domain boundaries more or less favourable, raising the possibility of controlling the domain size distribution. Johner, A., Thalmann, F., Baschnagel, J., Meyer, H., Obukhov, S., & Wittmer, J. P. (2014). Two-dimensional polymeric liquids and polymer stars: learning from conflicting theories. Journal of Statistical Mechanics-Theory and Experiment, 2014. Abstract: We discuss systems for which two carefully derived, yet conflicting, theories coexisted. Dense polymers in two dimensions and star-shaped polymers in the theta-regime are considered. In both cases the two proposed theories are in a sense exact, but turn out to satisfy different crossing rules (for the 2d polymer) or to correspond to different orders of limits. Finally, both theories prove very useful, albeit for different subclasses of physical systems. Marques, C., Weinberger, A., MacEwan, S., Schmatko, T., Schroder, A., & Chilkoti, A. (2014). Cargo Self-Assembly Controls Affinity Of Cell-Penetrating Peptides To Lipid Membranes. Journal Of Peptide Science, 20, S282. Mertins, O., Bacellar, I. O. L., Thalmann, F., Marques, C. M., Baptista, M. S., & Itri, R. (2014). Physical Damage on Giant Vesicles Membrane as a Result of Methylene Blue Photoirradiation. Biophysical Journal, 106(1), 162–171. Abstract: In this study we pursue a closer analysis of the photodamage promoted on giant unilamellar vesicles membranes made of dioleoyl-sn-glycero-3-phosphocholine (DOPC) or 1-palmitoyl-2-oleoyl-sn-glycero-3-phosphocholine (POPC), by irradiating methylene blue present in the giant unilamellar vesicles solution. By means of optical microscopy and electro-deformation experiments, the physical damage on the vesicle membrane was followed and the phospholipids oxidation was evaluated in terms of changes in the membrane surface area and permeability. As expected, oxidation modifies structural characteristics of the phospholipids that lead to remarkable membrane alterations. By comparing DOPC- with POPC-made membranes, we observed that the rate of pore formation and vesicle degradation as a function of methylene blue concentration follows a diffusion law in the case of DOPC and a linear variation in the case of POPC. We attributed this scenario to the nucleation process of oxidized species following a diffusion-limited growth regime for DOPC and in the case of POPC a homogeneous nucleation process. On the basis of these premises, we constructed models based on reaction-diffusion equations that fit well with the experimental data. This information shows that the outcome of the photosensitization reactions is critically dependent on the type of lipid present in the membrane. Mukherji, D., Marques, C. M., & Kremer, K. (2014). Polymer collapse in miscible good solvents is a generic phenomenon driven by preferential adsorption. Nature Communications, 5. Abstract: Water and alcohol, such as methanol or ethanol, are miscible and, individually, good solvents for poly(N-isopropylacrylamide) (PNIPAm), but this polymer precipitates in water-alcohol mixtures. The intriguing behaviour of solvent mixtures that cannot dissolve a given polymer or a given protein, while the same macromolecule dissolves well in each of the cosolvents, is called cononsolvency. It is a widespread phenomenon, relevant for many formulation steps in the physicochemical and pharmaceutical industry, that is usually explained by invoking specific chemical details of the mixtures: as such, it has so far eluded any generic explanation. Here, by using a combination of simulations and theory, we present a simple and universal treatment that requires only the preferential interaction of one of the cosolvents with the polymer. The results show striking quantitative agreement with experiments and chemically specific simulations, opening a new perspective towards an operational understanding of macromolecular solubility. Schmatko, T., Muller, P., & Maaloum, M. (2014). Surface charge effects on the 2D conformation of supercoiled DNA. Soft Matter, 10(15), 2520–2529. Abstract: We have adsorbed plasmid pUc19 DNA on a supported bilayer. By varying the fraction of cationic lipids in the membrane, we have tuned the surface charge. Plasmid conformations were imaged by Atomic Force Microscopy (AFM). We performed two sets of experiments: deposition from salt free solution on charged bilayers and deposition from salty solutions on neutral bilayers. Both sets show similar trends: at low surface charge density or low bulk salt concentration, the internal electrostatic repulsion forces plasmids to adopt completely opened structures, while at high surface charge density or higher bulk salt concentration, usual supercoiled plectonemes are observed. We experimentally demonstrate the equivalence of surface screening by mobile interfacial charges and bulk screening from salt ions. At low to medium screening, the electrostatic repulsion at plasmid crossings is predominant, leading to a number of crossovers decreasing linearly with the characteristic screening length. We compare our data with an analytical 2D-equilibrated model developed recently for the system and extract the DNA effective charge density when strands are adsorbed at the surface. Sun, Y., Marques, C. M., & Schroder, A. P. (2014). Adhesion of giant unilamellar vesicles on double-end grafted DNA carpets. European Physical Journal-Special Topics, 223(9), 1755–1769. Abstract: We have recently shown that the bio-mimetic adhesion of Giant Unilamellar Vesicles on carpets of lambda-phage DNAs, grafted by one end to the substrate, leads to DNA scraping and stapling. As the lipid adhesion patch is built, outward forces stretch the DNA, while adhesion patch formation staples the chains into frozen conformations, trapped between the GUV membrane and the substrate. Analysis of the scraped and stapled DNA conformations provides a wealth of information about the membrane/polymer interactions at play during the formation of a bio-adhesive contact zone. In this paper we report new phenomena revealed by scraping and stapling phenomena associated with the bio-mimetic adhesion of Giant Unilamellar Vesicles on carpets of lambda-phage DNAs that were grafted to the substrate by both ends. In particular, the peculiar shapes of stapled DNA observed in this case, suggest that the membrane exerces not only outward radial forces during patch formation, but is is also able to confine the DNA molecules in the orthoradial direction. Weber, G., Charitat, T., Baptista, M. S., Uchoa, A. F., Pavani, C., Junqueira, H. C., et al. (2014). Lipid oxidation induces structural changes in biomimetic membranes. Soft Matter, 10(24), 4241–4247. Abstract: Oxidation can intimately influence and structurally compromise the levels of biological self-assembly embodied by intracellular and plasma membranes. Lipid peroxidation, a natural metabolic outcome of life with oxygen under light, is also a salient oxidation reaction in photomedicine treatments. 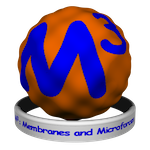 However, the effect of peroxidation on the fate of lipid membranes remains elusive. Here we use a new photosensitizer that anchors and disperses in the membrane to achieve spatial control of the oxidizing species. We find, surprisingly, that the integrity of unsaturated unilamellar vesicles is preserved even for fully oxidized membranes. Membrane survival allows for the quantification of the transformations of the peroxidized bilayers, providing key physical and chemical information to understand the effect of lipid oxidation on protein insertion and on other mechanisms of cell function. We anticipate that spatially controlled oxidation will emerge as a new powerful strategy for tuning and evaluating lipid membranes in biomimetic media under oxidative stress.